The capital of Peru lies on the Pacific Coast, and in the summer there is no doubt that it is a wonderful place to be, with the golden sands being lapped by the blue waters of the sea. Just a few hundred yards away is the business center of the country, and the largest buildings in the city compete to get the best view out over the ocean. 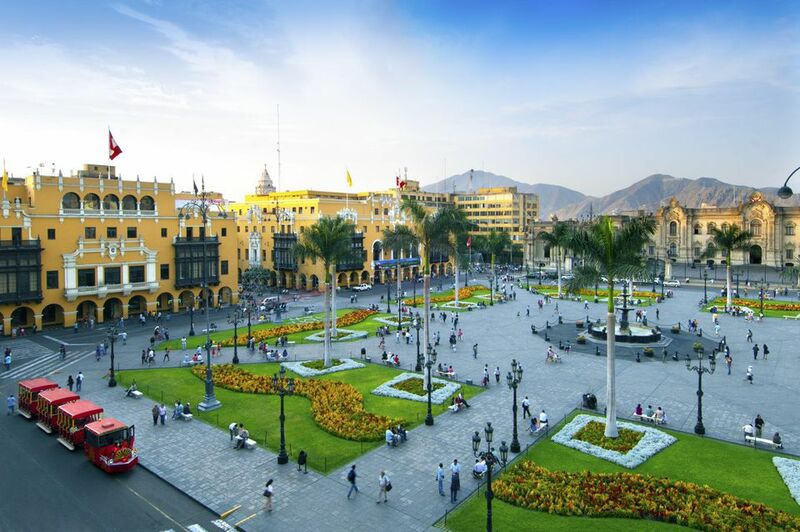 For visitors, Lima is a bustling and fascinating place to visit, with plenty of attractions to explore and a range of interesting neighborhoods that have their own personalities. As one of the largest cities in South America, it is actually a fairly easy place to explore for the first-time traveler. If there is one area of Lima that will capture the hearts of tourists and locals alike, it is the amazing Miraflores cliffs—especially on a bright, beautiful day. This is very popular as a paragliding site, as the drop from the top of the cliffs down to the beach below offers a great launching point, and you will see tons of the fabric arches floating on the air currents above the beach on a good day. If you do want to get a thrill and a good view of the city, there are companies that offer tandem paragliding trips with an expert guide to control the flight for you. There are some beautiful buildings and colonial architecture to be enjoyed in the city, and the district of Pueblo Libre is one of the most popular areas to visit. It was here that the legendary liberator Simon Bolivar lived for a period. The National Museum of Archeology, Anthropology and Peruvian History is a fascinating place to visit in the district, while La Cruz del Viajero is another monument in the district, and is a cross set there by Franciscan monks in the seventeenth century. The Bridge of Sighs in the Barranco district is another popular place for couples to visit in Lima, as it is a romantic wooden bridge just a quick stroll from the beach. The city of Lima was founded by the conquistadors, but there are a couple of Inca ruins in Pucllana and Pachacamac that are worth visiting, although they are not as grand as those found elsewhere in the country. You should also look to visit the Chocolate Museum, which is a wonderful attraction for families, as you can learn about the history of Peruvian chocolate and even get the chance to make your own chocolate. For those who enjoy the attractive architecture, exploring the Church of San Francisco is also a good experience. The two most popular districts where visitors can stay are those near the center—namely Barranco and Miraflores—and those near the waterfront will usually be the large luxury hotels. For travelers on a budget, Barranco has some nice hostels, but bear in mind that it is the nightlife district of Lima so you may find that it is a little noisier than other areas. If you are traveling to Lima, then make sure that you save time to spend a cultural evening in the city, as there are clubs called Penas, where Criollo and Afro Peruvian music is played and you can enjoy the traditional Peruvian music. These nights are often accompanied by a nice meal for a single price, and provide a taste of Peruvian cuisine and culture together.